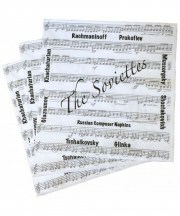 Established in 1963, we have a reputation as one of the largest sheet music specialists in Britain. Catering for all styles and tastes. We supply everyone, including schools, bands, orchestras and individuals. We offer an extensive range of musical instruments, from Brass and Woodwind to Stringed and Pianos. Ask about our Instrument rental packages. Take it Away - We can offer 0% finance on the purchase of an Instrument. Subject to Credit Check. NEW FOR 2018 - PIANO RENTAL AVAILABLE ON SELECTED PIANOS. DEPOSIT 1 MONTH RENTAL, CHANCE TO PURCHASE AFTER 12 MONTHS, MINIMUM 12 MONTHS RENTAL. We also have a large stock of accessories with everything from guitar amplifiers and strings to saxophone reeds and trumpet oil. If you are looking to use your current instrument against another, you will always get more value from us than if you were just looking to sell. Please ask us about part-exchanges if you are interested. Personal service is at the core of our approach. Our friendly, knowledgeable and skilled staff can provide you with as much guidance and help as you require, to ensure you choose the right instrument or accessory for your needs, ability and budget. We provide equipment and music to local authority customers throughout the Midlands, Northants, Lincolnshire, Leicestershire, and Cambridgeshire. In addition to sales and rental we can provide insurance valuations and probate. In addition to Guitar Repairs we now offer a Top Quality Bowed Stringed Instrument Repair service, as well as access to Brass and Woodwind repairs, be it a quick adjustment instore, or a complete overhaul. Gift Tokens available in following amounts: £5, £10 and £20. These can be posted free of charge and are valid for a year from the date of issue. They can be used against anything in the shop. Stamford Music Shop is a traditional music store stocking a wide range of musical instruments. If you need any advice then please contact us. Please be sure to check out our facebook page for special offers and the latest instore updates!